Are you looking for reading activities to help your child get excited about reading? If so, you’re in the right place! These activities are everywhere. You may even be doing some of them without realizing it. They can be as simple as pointing out letters on signs while playing the “alphabet game” on a long car trip. Or they could involve reading the ingredients on the side of a soup can in the grocery store. One of my favorite things to do when I was young was reading the text on the outside of cereal boxes while I was eating breakfast at the kitchen table. If there were words, I was reading them. Luckily, my parents had good books around. My favorite was one that was filled with fine art by the Masters (Monet, Picasso, Renoir, Rembrandt, and Van Gogh, just to name a few). This probably had a lot to do with my early love for art! Learning games can be found at Toys R Us, Learning Express, The Report Card, and even WalMart. And of course, you can find them online. • It’s a Mad Libs World! Offline, the choices are almost endless. Card games like Authors (featuring 13 famous authors) expose kids to classic literature. Crossword puzzles and word searches can be found in most local newspapers. And when all else fails, you can always start a good old-fashioned game of Ghost. Softschools.com has a wide range of learning activities, including virtual flashcards and phonics games, and even offers mini quizzes. One of their links – Sites for Parents – has links to hundreds of websites, giving parents access to free printables, worksheets, songs, and reading activities for children as young as preschool. Several publishers have added games and activities to websites devoted to popular children's books. One of the most prominent is Seussville.com - a content-rich site full of interactive games for kids. You'll find other links to Seuss-related activities at our World of Dr. Seuss page. Learning how to read isn’t the only thing that’s important. So is building fluency. Defined as “how quickly, accurately, automatically, and expressively someone reads,” fluency is something that USUALLY develops naturally as a child begins to read more and more. However, that isn’t always the case. If you need help building fluency in your own child’s reading, take a look at Pat Jones’ website, Teacher-Support-Force.com. It’s a GREAT resource for several different types of fluency-building activities, including choral reading, sight-word games, and building word walls. Activities that involve reading range from something as simple as reading a book to doing an online crossword puzzle. Kids who participate in interactive stories through animated books on the Web are also doing reading activities. 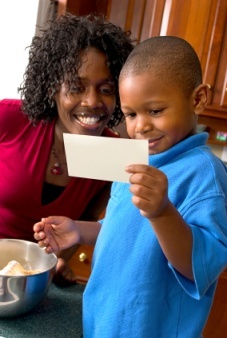 When was the last time you let your child help you cook a meal? When kids read recipes and follow directions in a cookbook, they’re getting “real world” experience with reading that will follow them throughout their lives. One great website for kids who want to try new recipes is Nick Jr. (Recipes page). Another one is the Recipes page on Funology.com. Funology: The Science of Having Fun! has a lot of other fun pages too. 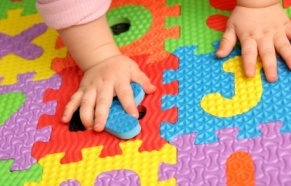 Links such as Games, Arts & Crafts, and Science Experiments lead to pages filled with tons of fun activities and info. Your kids will get practice reading just going through the instructions on these pages!